December 12, 2017 – Santa’s Coming! 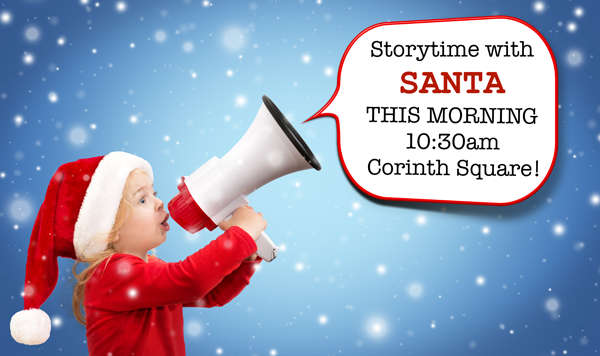 Join us this morning for a Very Special Storytime with Santa! Can’t make it today? Santa will visit tomorrow! Everybody knows we work very closely with that jolly, bearded, red-suited guy this time of year! That’s why we’ve invited Santa as a special guest to our Storytimes this week. 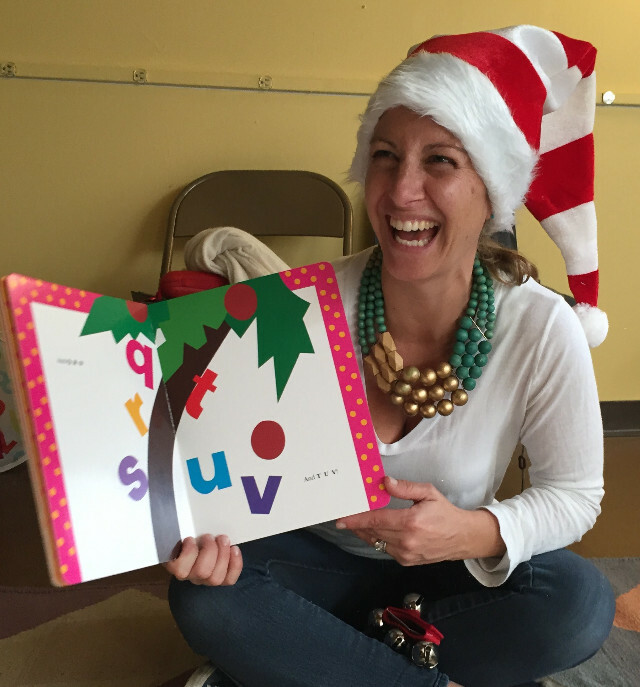 There will be HO HO HO holiday story reading at both stores and lots of holiday cheer! It’s the perfect opportunity to drop off your holiday wish list to Santa and to snap a quick picture! This is a FREE event – no reservations needed! The Learning Tree is a Toys for Tots collection location. We are suggesting that participants donate a new toy to this cause. Bring a toy or purchase one when you arrive. 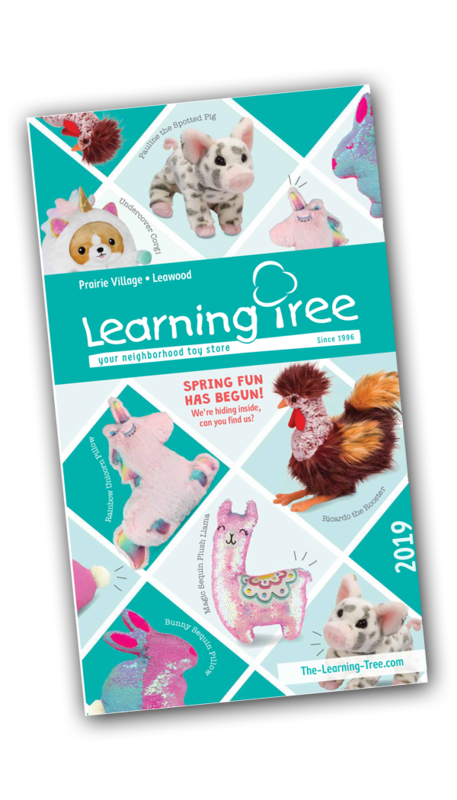 The Learning Tree will pitch in and take 25% off any donation purchase. Hanukkah 2017 begins at sundown this evening and runs through Wednesday, Dec. 20th. To our friends celebrating, we hope it’s a happy, family-packed, lip-smacking latke-eating, dreidel-spinning, candles-glowing festival. 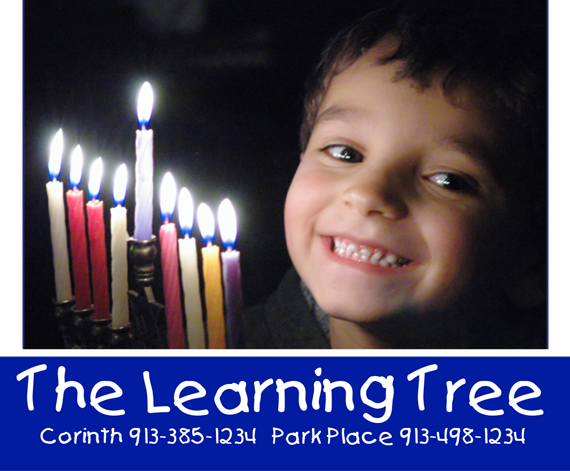 Happy Hanukkah from the Learning Tree! This Thursday, it’s a Merry Little Sing-A-Long with Jenny for The Children’s Place! Jenny will treat us to her usual singing, dancing and instruments with an added bit of sugar-and-spice. No reservations necessary for this complimentary event. All participants are asked to bring or purchase a new book for The Children’s Place. Take advantage of our Extended Holiday Hours now through Christmas! The Learning Tree is a collection location for Toys for Tots and we’re pitching in with 25% off any toy you purchase to donate! 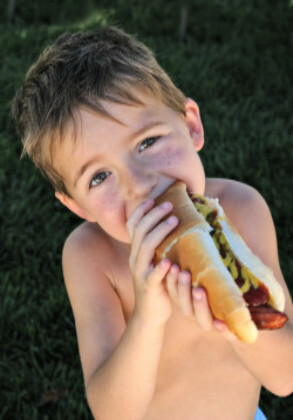 There are nearly 15 million American children living at or below the poverty line. We’d like to reach some of them this holiday season in our area. 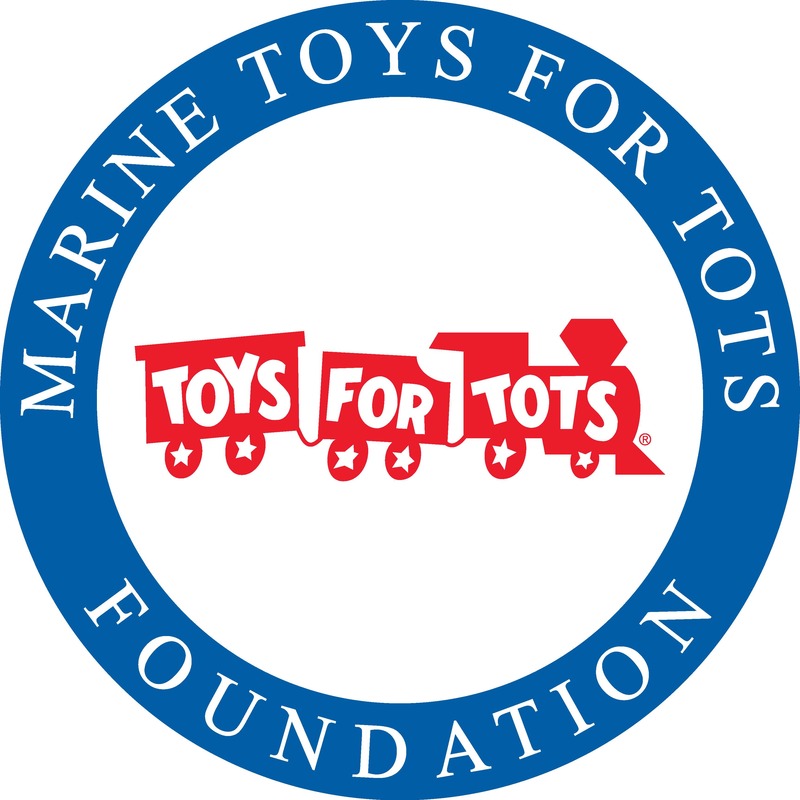 Won’t you join the Learning Tree and the U.S. Marine Corps with a new toy donation? Your Drop-off Deadline is this Friday, Dec. 15th. It’s a Stuff Your Stocking Christmas Eve Day! Of course, you can always get a little help from your friends, the Toy Experts, at the Learning Tree. This is one time when leaving it to the last minute is a GREAT idea! We’re stocking the shelves and getting everything all wrapped up and ready for the holidays! If you haven’t had a chance to turn down the pages of our 2017 Holiday Catalog we want to make sure you get a peek at it. You can’t dog-ear the corners of our online catalog but it’s sure fun to turn the pages. Go all the way to the end for the coupon SAVINGS! Visit us soon! We’ll help you find just the right gift for every child on your list. When you’ve finished shopping, leave your pile to be wrapped and ready to take home. Shop online and pick up your purchases at either of our store locations or we’ll ship if they’re far away! Turkey on the Table is a wonderful way to express gratitude and to experience the joy of giving! You are probably getting your plans down for the big feast, looking forward to visits from family and friends, maybe even planning your menu. Do you have your turkey ordered? Well, we’ve got a very special “Turkey on the Table” that we think belongs at your Thanksgiving this year! This plump, fabric turkey starts out with no feathers. Write things that you are thankful for on one side of each blank feather and add them to the turkey. 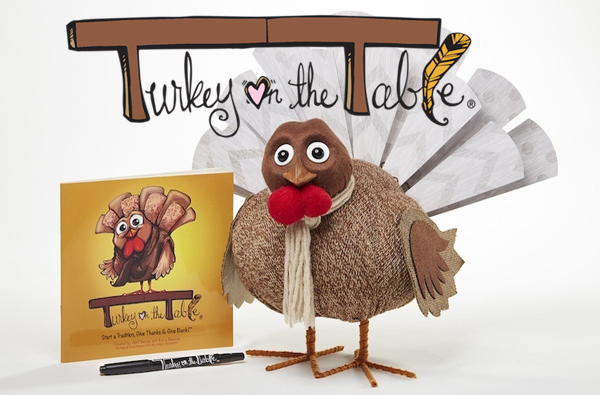 The turkey becomes a center piece and the feathers can be read aloud and shared. Turkey on the Table is the perfect Thanksgiving activity that can become an annual holiday tradition for your family year after year. Will your family be guests at someone else’s Thanksgiving table? Turkey on the Table would be a lovely gift for your hosts! Turkey on the Table not only brings thanksgiving and gratitude to your holiday, but the two women who created this product have teamed up with Feeding America and donate 10 meals to someone in need with each Turkey on the Table sold. 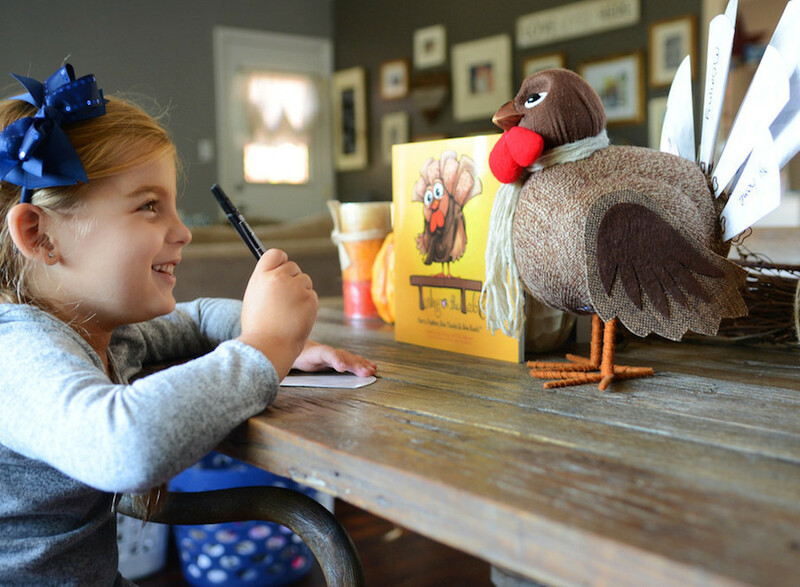 Each turkey comes with a set of feathers, a pen, and a storybook. Additional packs of feathers are available. Create a new, giving tradition this year with Turkey on the Table. Did you know that you can shop online, then pick up your gifts at your convenience at either of our store locations? Or, we can ship them for you if your loved ones are far away! Savings for Your Gifts List! The print version of our Holiday Catalog isn’t just filled with gift ideas, it’s filled with SAVINGS. There are three attached coupons: one for early holiday shopping to use through Nov. 30th, one for right-in-the-rush of it, good from 12/1 – 12/20, and one for the NEW year 1/15 – 2/28! So, clip those coupons, stash them in your purse wallet or car, and get to shoppin’! The coupon codes will work in our online store also. You’ll only find one code in the digital version. It’s on the back cover. Questions? Give us a call at 913-385-1234. Thursday Nov. 16th, Corinth Square 10:30am: Final 2017 Music and Movement with Jenny is today! Then, Jenny will be on break until after the holidays. We will welcome her back in January to her usual 10:30am Thursday slot! You can join Jenny at Simple Science juices in Brookside on Tuesdays and Wednesdays at 10:30am till she comes back next year. Saturday Nov. 26th, Shop Local – It’s Small Business Saturday: It may be the day to shop small businesses, but we’ve got BIG plans at The Learning Tree today! We’re offering a pre-holiday 25% discount on all Melissa and Doug products. 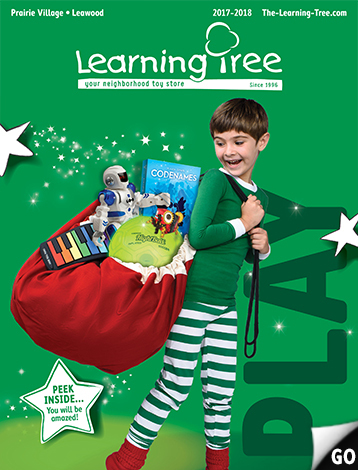 Thursday Nov. 30th, Learning Tree Holiday Open House: Visit us all day at both Corinth Square and Park Place Learning Tree stores where we’ll be welcoming the holiday season with some happy holiday music, refreshments and the opportunity to receive a gift certificate for $20 with a $100 purchase. Remember, we always offer complimentary wrapping. During busy shopping weeks, we invite you to leave your gifts to be wrapped with scheduled pick up. Speaking of wrapping…wrap up your evening at Corinth Square! Read on…. 6:00-7:00pm Corinth Square 2017 Holiday Tree Lighting– We’ll be open till 8pm as we join you in the courtyard to make merry and enjoy the lighting of the Mayor’s Christmas Tree in Corinth Square. Come in to visit us for a candy cane treat! 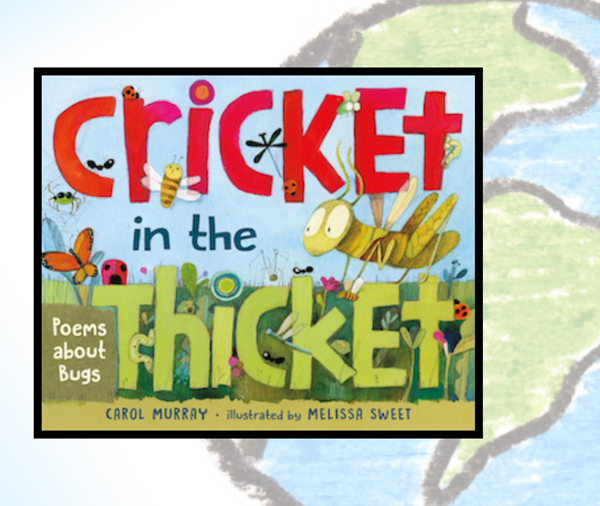 Get to know local children’s book authors that call KC home! Each week in September they’ll be visiting our regular weekly Storytime to read with us and share their love of children’s literature. Join us for FREE weekly fun! …and don’t forget to sign-up for your silhouette sitting with Clay Rice, visiting at the Learning Tree October 28th and 29th. SCROLL DOWN FOR ALL THE DETAILS! Kathy Wolff at Park Place Tomorrow! 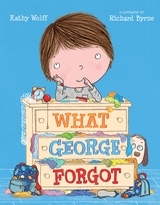 Kathy Wolff, author of What George Forgot, is our first visiting author.Kathy will be with us tomorrow! Sept. 6th at 10:30am: Park Place. Kathy Wolff lives in Overland Park, Kansas. But her debut picture book, What George Forgot, is anything but local, available in the US, UK and soon in Portugal and China! What George Forgot is just the book to enjoy during the start of the school year. As he goes about his morning routine, George has this funny feeling that there is something he is forgetting as he’s getting ready for school…but what is it? Laugh along with him as he tries to figure out just What George Forgot. Want more? Check out Kathy’s website http://kathywolffbooks.com/ or follow her on Twitter @KathyWolffbooks. 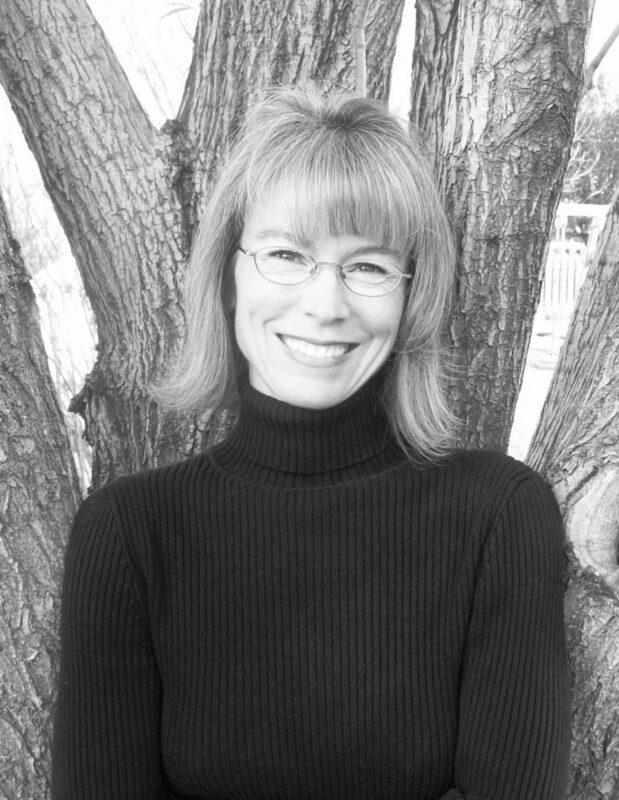 Bridget Heos is the author of over 70 non-fiction books including a 5th Grade Workman Workbook, a book about Jupiter, and a book about spiders! 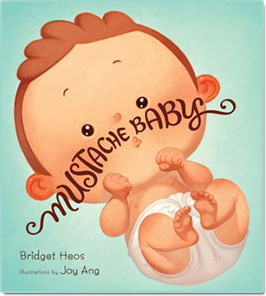 She has also written some wonderfully fun and silly picture books including Mustache Baby,and Mustache Baby Meets His Match. In Mustache Baby, Baby Billy, born with a mustache, starts out nobly saving the day in imaginary-play sessions as a cowboy or cop, his mustache looking good-guy great. But as time passes, little Billy’s mustache starts to curl up at the ends in a suspiciously villainous fashion and, sure enough, “Billy’s disreputable mustache led him into a life of dreadful crime.” Plenty of tongue-in-cheek humor and cartoonish illustrations make this a family read-aloud-favorite! Get to know Bridget: If Bridget worked in a circus she would want to be a trapeze artist! If she could bring one character to life from a favorite book it would be Cinderella, because – wishes! If she had to pick her least favorite word it would be “unfortunately.” It’s in almost every rejection letter! Visit Bridget’s website or follow her on Twitter. 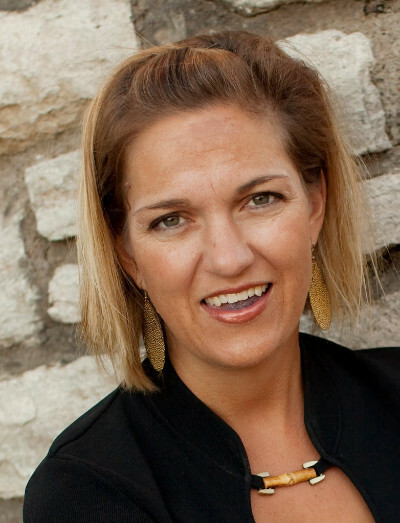 Jody Jensen Shaffer, of nearby Liberty, Missouri, is an award-winning poet and the author of more than 30 books for children, including her debut picture book Prudence the Part-Time Cow. 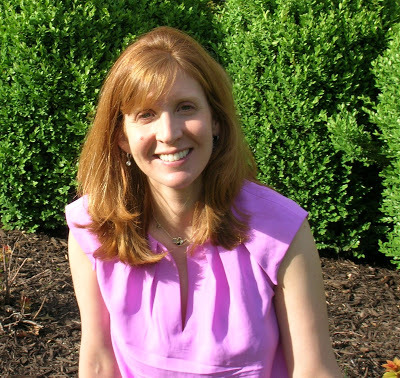 Get to know Jody: If Jody had to pick her favorite food it would peanut butter! Visit Jody’s website or follow her on Twitter. Alastair Heim, a Missouri resident just across the state line, is the author of three delightful picture books No Tooting at Tea, The Great Puppy Invasion (Arriving October!) and Love You Too. Fun Fact: If Alistair had to pick his favorite sound it would be laughter! Visit Alastair’s website or follow him on Twitter. Sunday, Sept. 10th: Celebrate being a Grand on Grandparents Day! 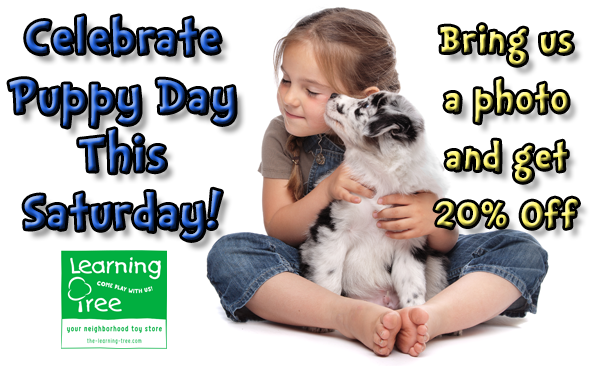 Show us a picture of your little darling and we’ll give you 10% off your purchase. Take a Peek at our NEW Catalog: Just click the image to turn the pages! It’s chock full of games, toys, craft and science kits, robots, sporty and outdoor toys…..you name it! Got a birthday coming up and you have no idea what to buy? We’ve got you covered! There’s also a $5 discount coupon on the back cover. Hurry! It expires Sept. 15th. Join our Learning Tree Holiday Team! Find out what being a part of our team is all about! We’re looking for enthusiastic playtime experts to join our talented retail staff. Help us create that ho-ho-ho and jingle magic experience for our guests during the busiest time of the year – the holiday season! We’re interviewing for seasonal, full, and part-time openings for sales associates. Click here for an application or stop by to pick one up. We’d love to meet you! Friday/Saturday, Sept. 22nd and 23rd: Corinth Square Super Warehouse Sale! Make your Silhouette Portrait appointment today! 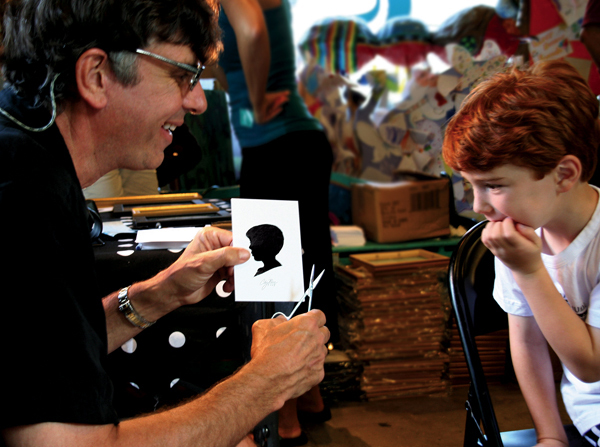 We happily welcome back internationally acclaimed, multi-award winning, silhouette artist and children’s author, Clay Rice at Corinth Square, Saturday, October 28th and Park Place October 29th. With a few snips of Clay’s magic scissors, a silhouette becomes a timeless memory. Framed, a silhouette of your child becomes a treasured gift. 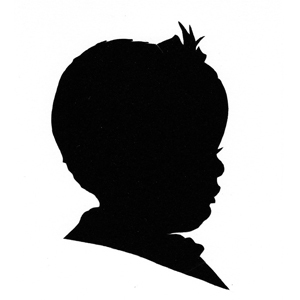 A silhouette sitting is $42 for two copies of the same child. Separate appointments must be made for each individual child. Call 913 385-1234 for a Saturday October 28th appointment at Corinth Square. Call 913 498-1234 for a Sunday October 29th appointment at Park Place. August 22, 2017 Newsletter – Local Authors Coming to Story Time! With our Big Book Blowout Bonanza Sale underway (details below) we’ve got books on the brain! A book sale means we’re making room for great new fall titles. New titles from some of our favorite LOCAL authors. The Kansas City area is home to a wonderful group of children’s book authors and illustrators. Just like the Learning Tree, they are passionate about children, reading, and the joy that literature can bring. 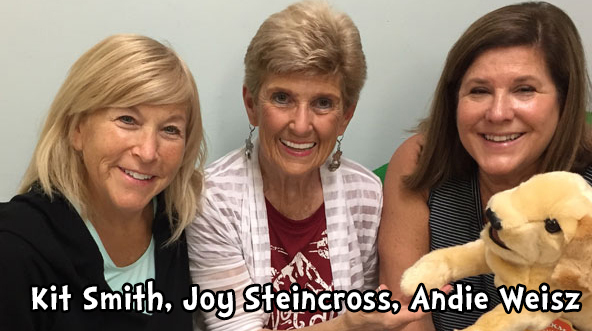 During the month of September, we’ve invited a different local children’s author to join us for Storytime each week to read and share their books. We hope you’ll join us for these fun and free weekly gatherings and enjoy the local talent from our own backyard! 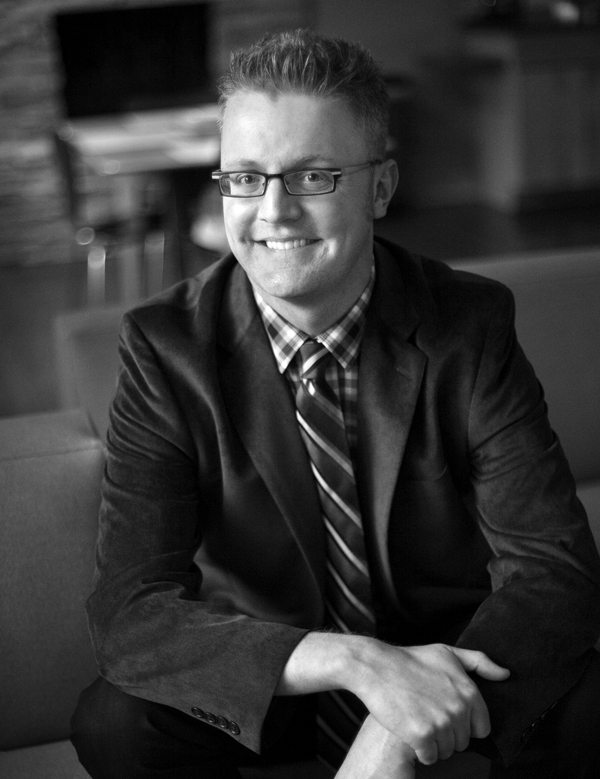 Get to know local children’s book authors that call KC home! Each week in September they’ll be visiting our regular weekly Storytime. Join us for FREE weekly fun at Corinth Square 10:30am Tuesdays, and Park Place 10:30am Wednesdays. What: Up to 50% off selected children’s book titles! Calling all Jayhawks! 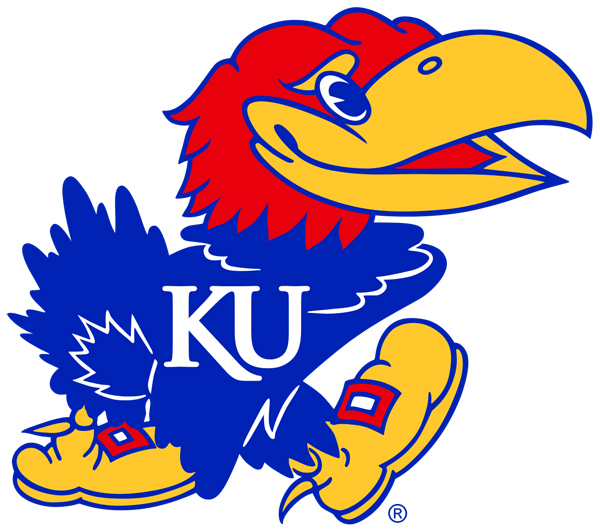 Join Corinth Square shops, the KU Alumni Association and Kansas Athletics for the annual KU Kickoff. Bring the family for games, food drinks KU giveaways and entertainment. Big Jay and Baby Jay will be there to meet and greet you! Hope to see you for this final evening of family fun in the neighborhood! 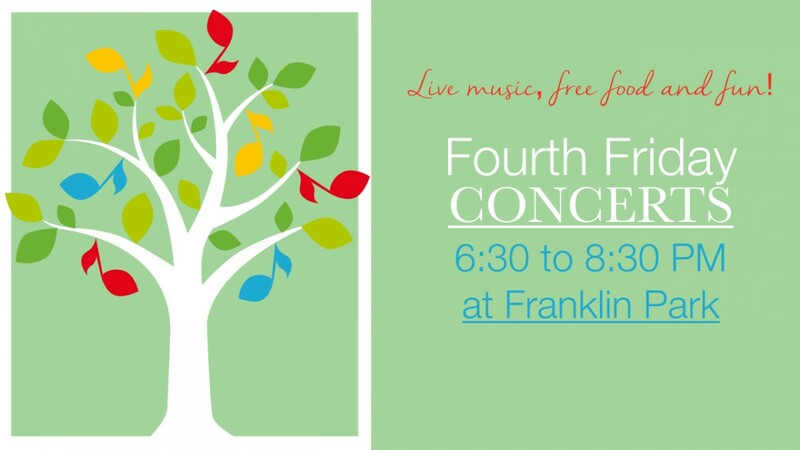 Free hot–diggity–dog–dinner and lots of fun, foot stompin’ music to enjoy! Celebrate being a Grand on Grandparents Day, September 10! Super Warehouse Sale Savings September 22nd & 23rd at Corinth Square! Calling Book Lovers and Readers! 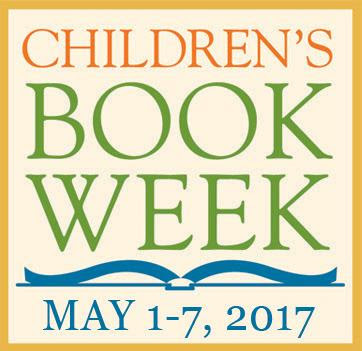 Children’s Book Week is May 1-7 and we’re celebrating books and reading. 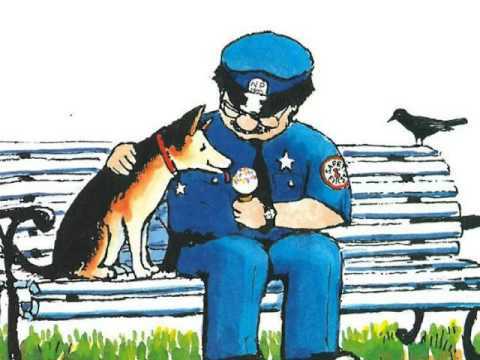 Sign-up to read your favorite book to a Prairie Village Police Officer or join one of our special Storytimes with police officer and firefighter guests. Vote for your favorite children’s book and shop the book cart sale all week. 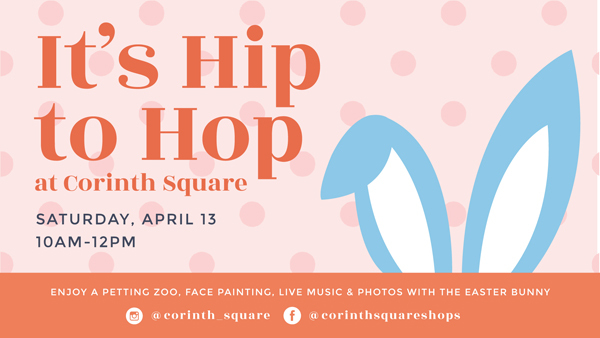 Tuesday May 2, 10:30am, Corinth Square: Officers from the Prairie Village Police Department will be our special guests today at Miss Beth’s Storytime. We know that police officers help keep us safe, enforce the law and fight crime, but they also love children’s books! Come read with us and our very important guests. This is sure to be a perfect pre-school event. 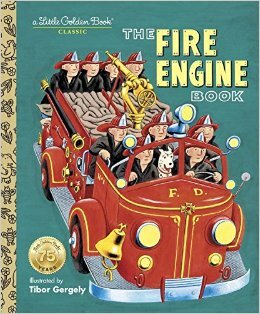 Wednesday May 3, 10:30am, Park Place: National Children’s Book Week is the perfect time to enjoy a classic Golden Book Storytime. This Storytime will be extra special because we’ll have a guest! Firefighter Chase from the Lenexa Fire Department is coming to Storytime! Chase will read and share information about the equipment he uses to do his important job. The free event is perfect for preschoolers! Children’s Book Week – SIGN UP EVENT! Are you a new reader or a seasoned reader? Here’s your chance to practice and show off your stuff to a special listener. 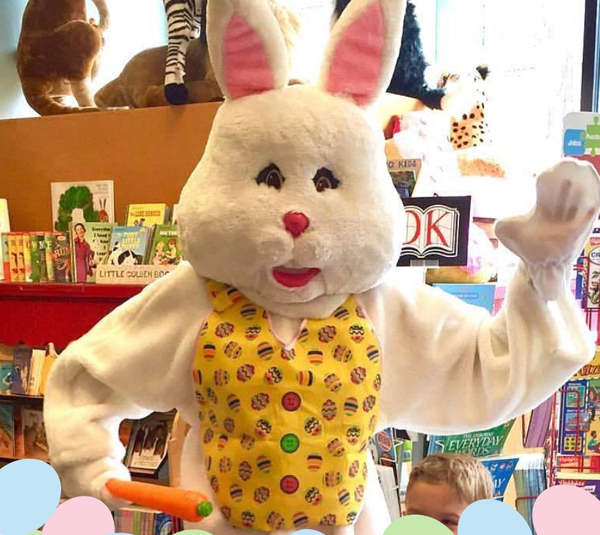 Prairie Village Police Officers will be back as special guests at the Learning Tree to listen to you read and enjoy children’s books with us at this final NCBW event*. All are welcome to join us for a morning of books, doughnuts, coloring pages, and fun! But you must sign up to Read with an Officer. Readers, bring your favorite book or choose one from our book pile. As you arrive, you will be given a number for your turn to read. Enjoy doughnuts and event activities while you wait! *Please understand Prairie Village Police Officers may be called away for service during the event. Summer Activity Classes are Here! 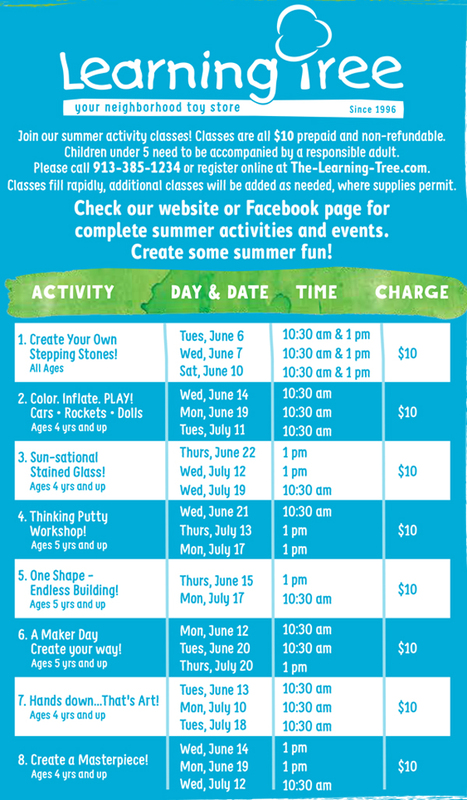 Check out our amazing, in-store Summer Activity schedule for June and July with more activities on the way! Some of our favorites are back, plus lots of NEW classes. Just click on the image to get a closer look at all our fun summer classes! Find one that works with your child’s age, interests, and free time. All classes will take place at our Corinth Square store. Click here to Sign Up for Summer Activity classes online or call us to register at 913-385-1234. 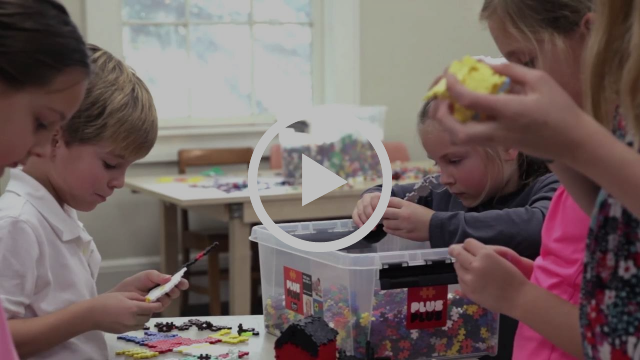 In this sign-up Summer Activity they’ll create a 2D mosaic or a more complicated 3D design – the possibilities are endless using these simple-shaped Plus Plus building bricks. Everyone gets a tube of 75 pieces (we’ll have lots of extras too!) to build anything from their dream. Endless building fun! Create whatever your imagination comes up with using Plus Plus! Register today for this and seven other FANTASTIC in-store Summer Activities! Click here to Sign Up for Summer Activity classes or call to register 913 385-1234. 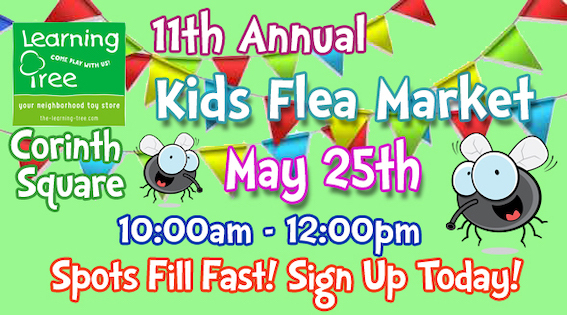 Kid’s Flea Market – Get your Booth now! The Learning Tree Kid’s Flea Market is a very popular, family friendly, community event that pulls everyone in the neighborhood together! Whether you set up a family, kid centered booth for selling or shop the market looking for bargains on kid’s stuff everyone is welcome to enjoy the morning! 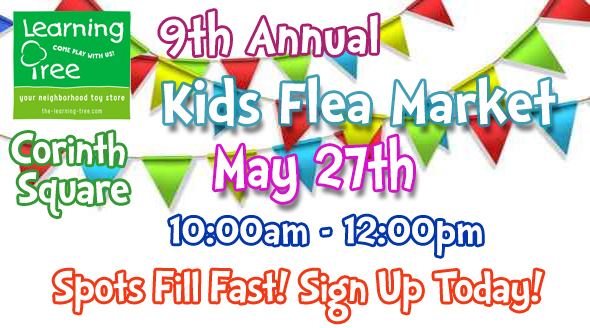 The Kid’s Flea Market gives kids a chance to run their own business for a few hours and to do a little spring-cleaning in the playroom! With their spot reserved at the Kid’s Flea Market, kids can begin to collect their out-grown and gently used toys, books and games to re-sell and to plan their booth. Through the years, we’ve seen some very creative booths and merchandising. For the second year, we’ll let you be the judges and cast your vote for BEST BOOTH to add a bit of fun to the day. Handmade signs, banners, or fancy tablecloths are all great ways to make your booth unique and to attract shoppers! The lucky kid winner will get an insiders tour of the Learning Tree and a $25 gift certificate. Attention Music Lovers: Miss Pam will be taking a break from MusicTime Mondays at Park Place this month. She’ll return May 1st. While she’s gone, be sure to check out our other weekly kid’s events! Want to really sweeten things up for your Valentine? We have Valentine books, all types of toys and adorable new plush animals that top candy or flowers! We’re happy to do a Valentine’s wrap in pink, red or white with a fancy ribbon too! Not sure what to get? Ask one of our Toy Experts! We’re here to help you! Want to let your Valentine decide? 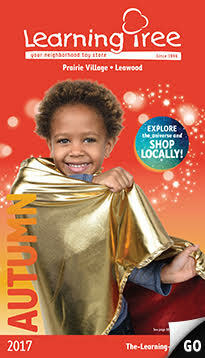 Buy them a Learning Tree gift card so they can shop till their heart’s content. It also creates an opportunity for a special shopping trip you can share with your Valentine! 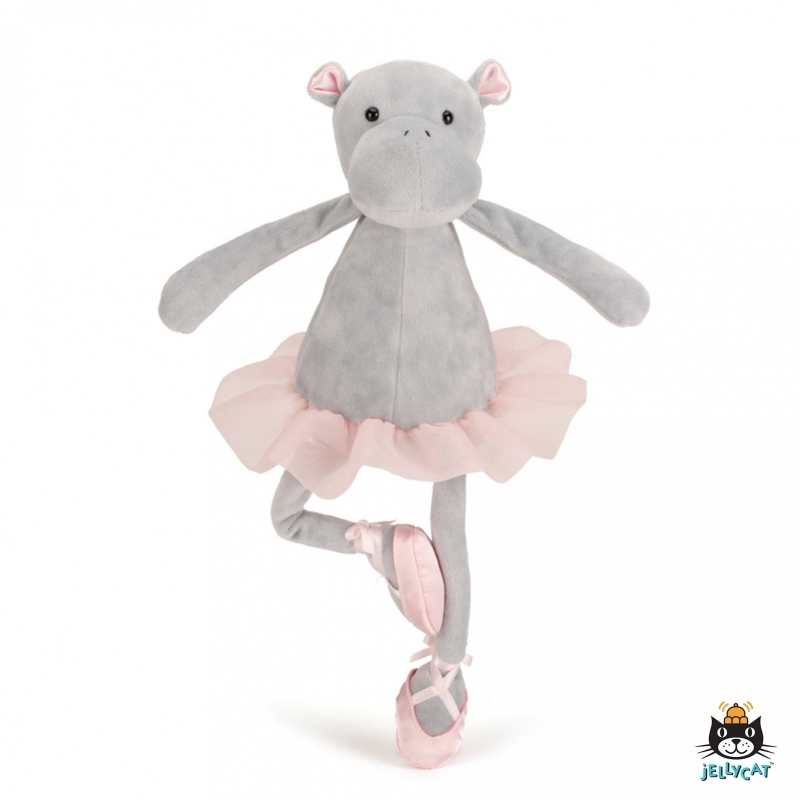 With her pink tutu and satin en pointe slippers, Dancing Darcey Hippo from Jellycat Toys, will dance her way into the heart of any plush loving Valentine. This “beans in the bottom” plush toy sits upright but wait till you see her pirouette! She is one talented, huggable Hippo. We especially love this toy, as it encourages your child’s imagination with open-ended pretend playtime. 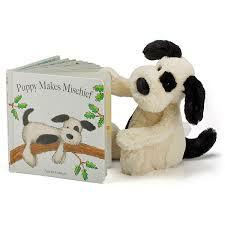 Wee Valentines will love the book and plush combos from Jellycat Toys. 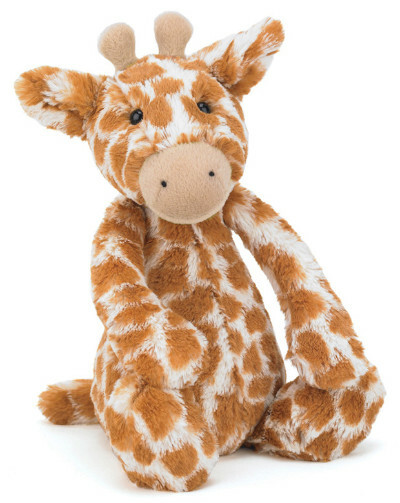 Soft cuddly plush are paired with adorable sturdy board books. What a dynamic duo! 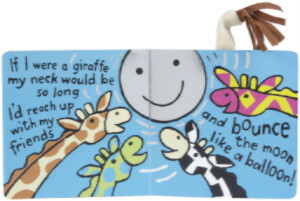 If I Were A Giraffe book and plush toy. Little book lovers will delight in the engaging text and colorful pages of their board book featuring their new plush friend! Who wouldn’t fall in love with this spotted, giraffe? Your Valentine will cozy up with a new friend and a story to enjoy again and again! Valentine’s Day is just for fun! Make it a family fun game of Totally Pink Madlibs WITH PINK PAPER! Fill in the word blanks to complete the silly story and bring some laughs to your Valentine! 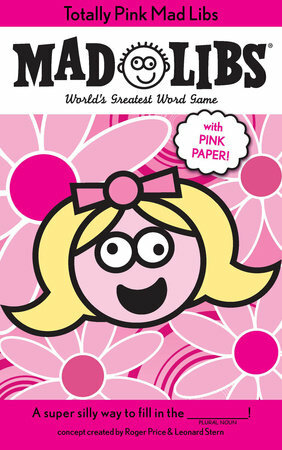 Totally Pink Mad Libs features 21 hilarious fill-in-the-blank stories about all things girly. Do you have wearable costume jewelry (necklaces, earrings, pins, bracelets, rings) cluttering your closet, no longer your style, and creating a messy tangle? Here’s your chance to be personally involved in a joy-giving, happy-making, Mother’s Day Project that has touched over 1,700 local kids at some of the area’s most deserving elementary schools. Why Donate? It’s for Mama! The local chapter of NCJW sets up a Mother’s Day “Jewelry Store” at each participating school for a day. Students “shop” (at no cost) the store, picking out the most beautiful, perfect gift for their mom or other special someone in their life. It’s wrapped up fancy and they get to deliver it with love! The Learning Tree is helping collect for this very worthy effort so bring in your jewelry asap and make some local moms (and kids!) very happy. Wednesday Feb. 8, 10:30am, Park Place: Valentine Storytime – It’s regular storytime with a whole lot of special love added to get ready for Valentine’s Day! There‘ll be lovely snack treats and heart-warming activities. Tuesday Feb. 14, 10:30am, Corinth Square: Special Valentine Storytime – Miss Beth will pour her heart out today with love stories, special treats, and hugs and kisses activities! We’d love for you to join in! Big Book Blowout Bonanza is in full swing at both stores! Now through September 5th, we’re sweeping the shelves and making room. Don’t miss this huge sale! 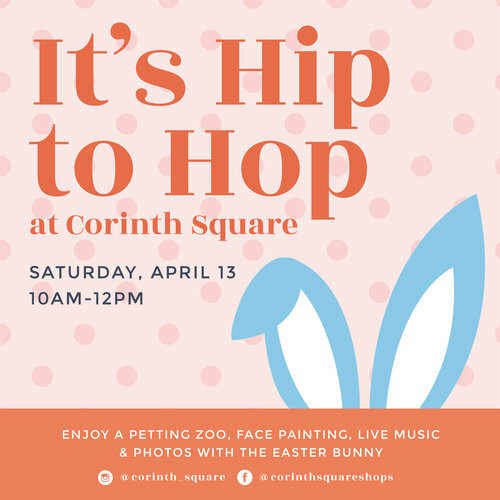 It’s happening now at Corinth Square and Park Place. Great books make great gifts- buy now for special birthday and holiday dates coming up on your list! 50% off all SALE TITLES! Receive a FREE $10 Park Place gift card when you spend $50 or more total at two Park Place businesses on the same day. Click here for details. We’re Wrapping Up Our August Calendar! 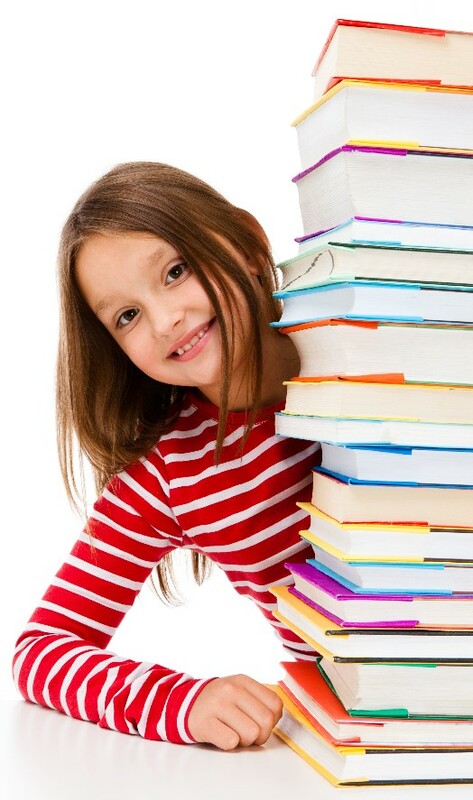 Shop the Big Book Blowout Bonanza Sale at both Corinth and Park Place Learning Tree stores! Calling all Jayhawks! 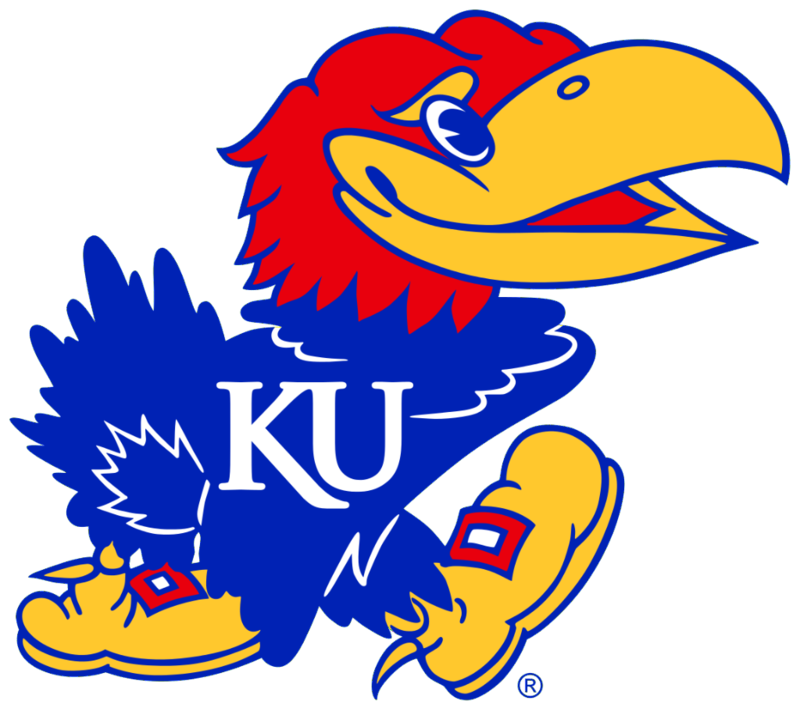 Join Corinth Square shops, the KU Alumni Association and Kansas Athletics for the annual KU Kickoff. Bring the family for games, food, drinks, KU giveaways, and entertainment. Big Jay and Baby Jay will be there to meet and greet you! Hope to see you for this final evening of family fun in the neighborhood! Free hot-diggity-dog-dinner. Enjoy the music of Abbey Road, the seven member, high energy Beatles band with hits from 1962-1970. Your Learning Tree friends will be there. Come play with us! You’ve always wanted to work in a toy store? The Learning Tree is always looking for enthusiastic candidates to join our talented retail staff of toy and playtime experts. Download an application on our website or stop by to pick one up. Saturday/Sunday, September 10/11: The 3rd Annual Chick Event at Park Place. Click here for more information. 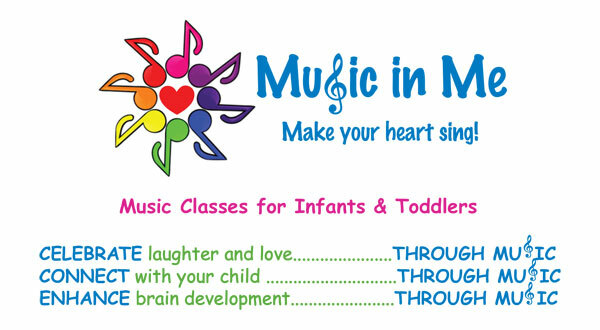 Sign up for Music in Me and make your heart sing! 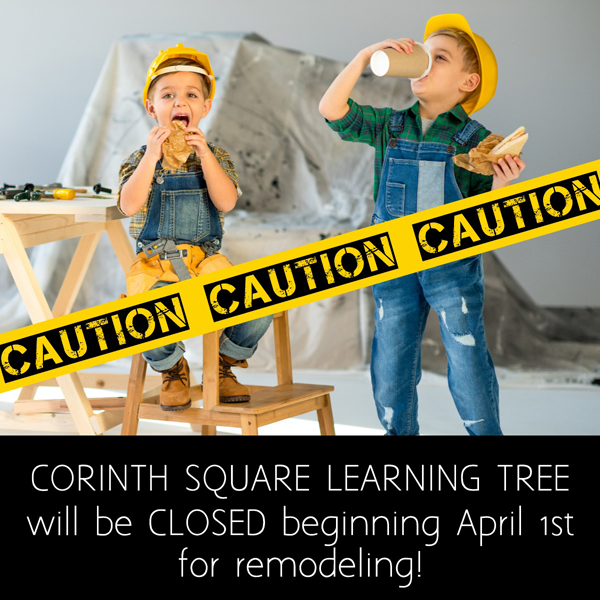 This innovative, new class for chldren ages 6 months to 3 years, finds its first home in the Rainbow Room at Corinth Square Learning Tree. Andie Weisz (lifelong music and child enthusiast) and Joy Steincross (Professional Musician/ Accompanist) along with Kit Smith (PHS Early Childhood Educator) have created a new interactive music class that educates through play, develops a love for music, and gives you a front row seat (literally) to witnessing how the power of music connects you to your child and builds brain function. Register for the 8-week Fall Session beginning September 27th. Check out our website or our FaceBook page for an up-to-date listing of events and activities. We’ve made it easy to sign up online! Questions? Give us a call 913 385-1234. Dino O’Dell is a hit with Learning Tree Fans! Wow! What a crowd we had for our friend, KC children’s entertainer, Dino O’Dell. We started off the week with a crowd of over 100 packed in the store. Kiddos, moms and dads, and grandparents were jumpin’ and jivin’. Dino invited everybody to participate as he read his new book Zar and the Broken Spaceship. Kids pushed imaginary buttons with their fingers , elbows, toes, and bottoms to help Zar fix his spaceship. If you missed Dino last Monday, don’t despair! He’s coming back to The Learning Tree in Park Place this Tuesday, September 29th at 10:30. If you enjoyed him on Monday, come back for more. We’re always happy to see our friends happy and clapping to Dino’s tunes.